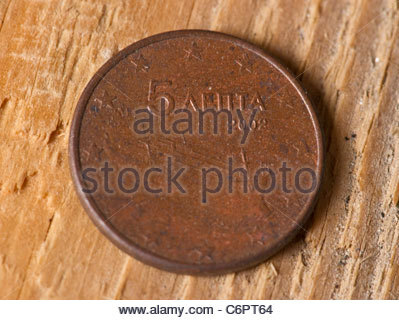 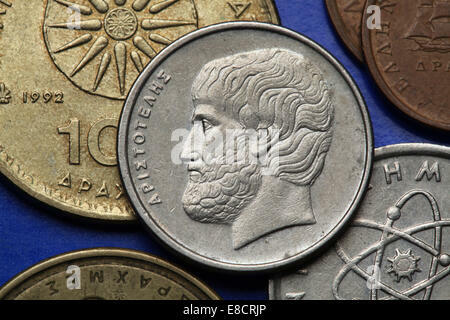 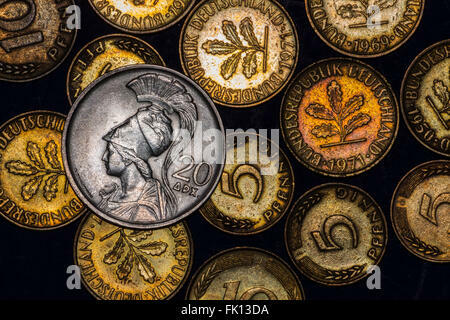 Coins of Greece. 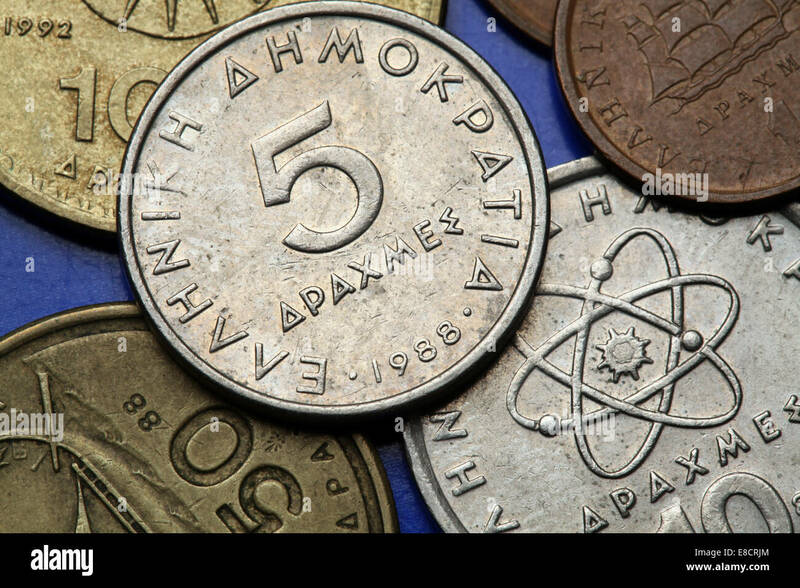 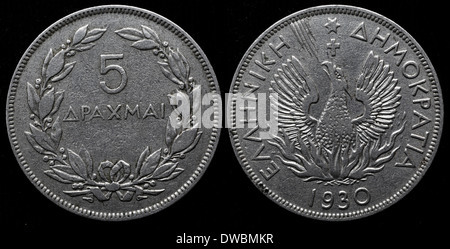 Old Greek five drachma coin. 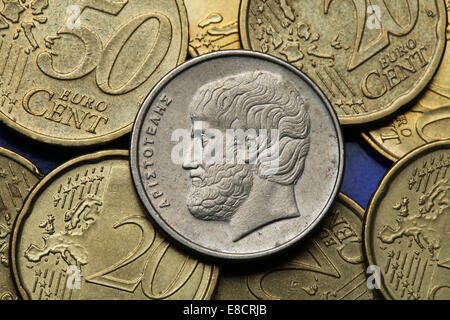 Coins of Greece. 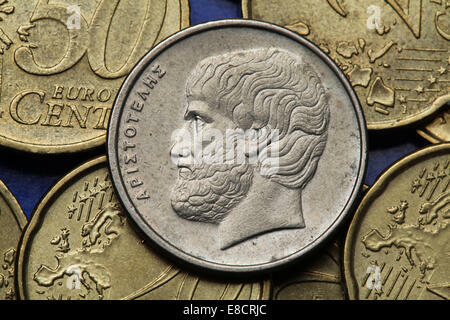 Greek philosopher Aristotle depicted in the old Greek five drachma coin.